Paulist Fr. Richard Colgan has served since 2011 as our community's director of novices, accompanying men in the first year they live at our seminary in Washington, D.C. He also is our assistant director of formation, helping to guide all of our seminarians. Fr. Rich made his first promises to the Paulist Fathers on August 16, 1975. He was ordained a priest on May 19, 1979. 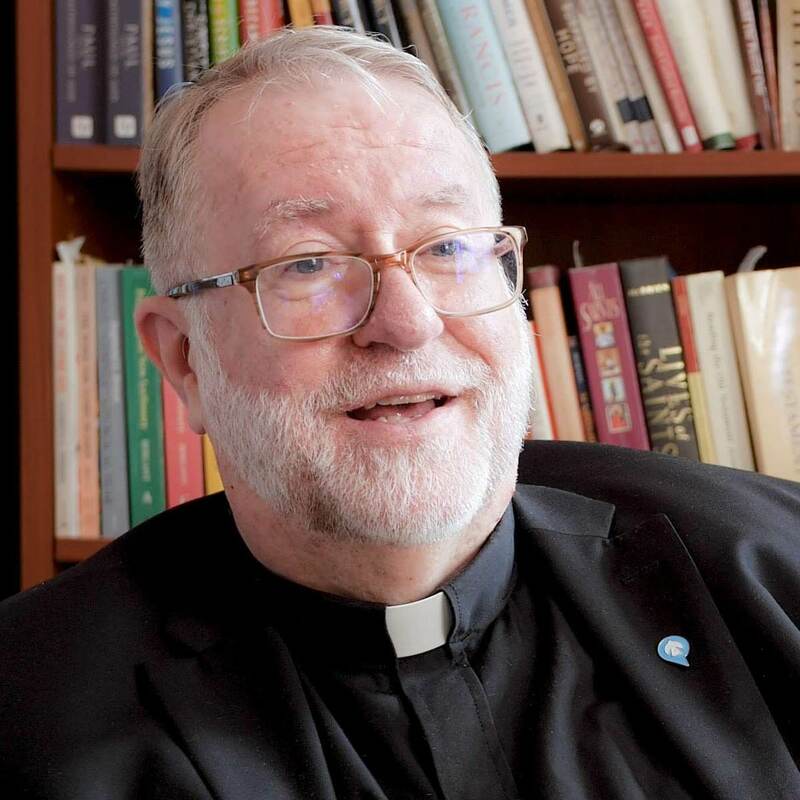 In his first priestly assignment, he served as a campus minister at Clemson University in South Carolina until 1983. He then had a one-year posting at McGill University in Canada. Fr. Rich also has served as associate pastor of the Church of St. Paul the Apostle in New York City; associate director of St. Lawrence Parish and Newman Center in Minneapolis, MN; associate director of the Paulist Center in Boston; pastor of St. Philip Neri Church in Portland, OR; and as pastor of St. Peter's Church in Toronto. See photos from Fr. Rich's decades of ministry at Pinterest.